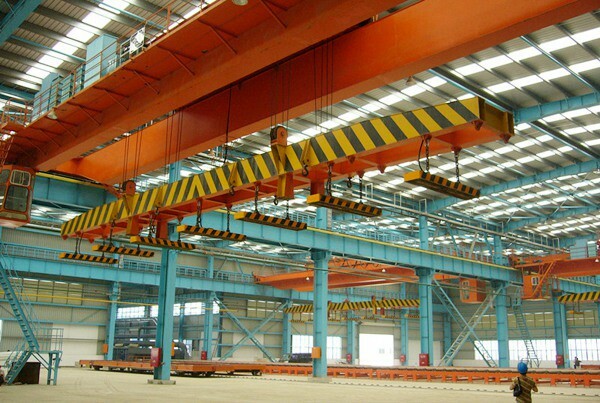 The crane which uses electromagnet to handling called electromagnetic crane. 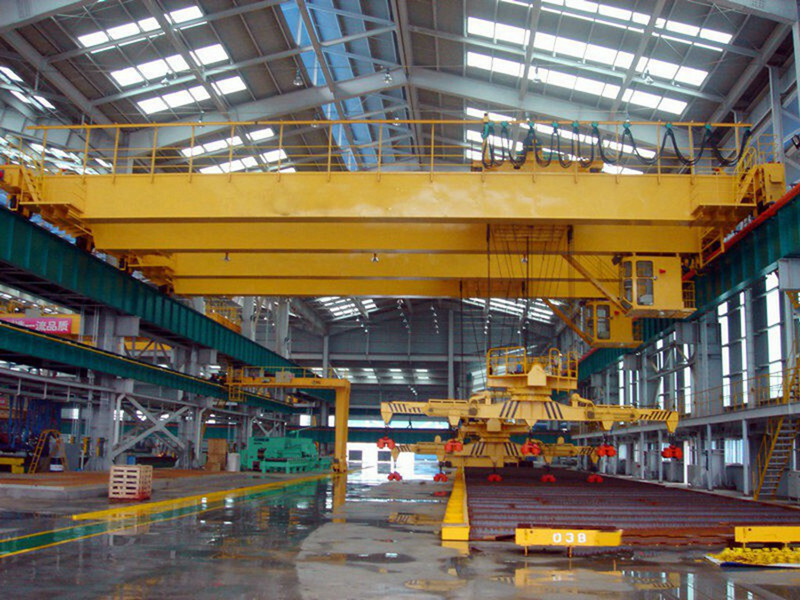 The crane which uses electromagnet to handling called electromagnetic crane. 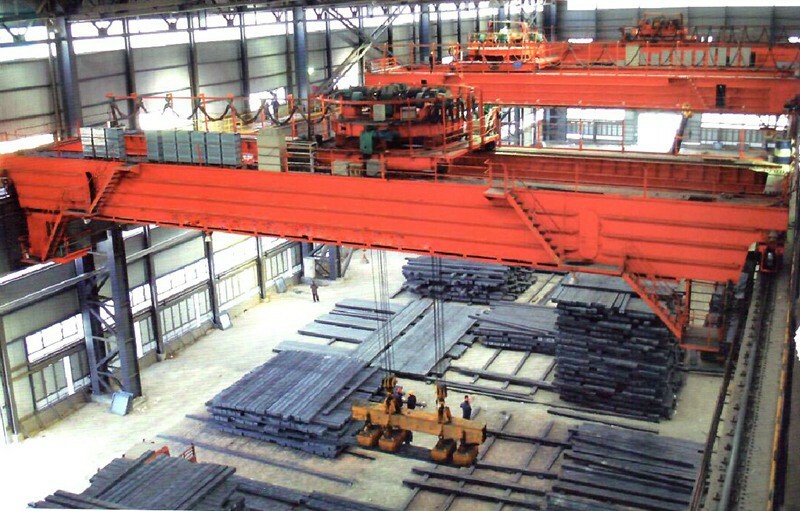 Electromagnetic crane can produce strong magnetic force to lift dozens of tons of iron, iron wire, iron nails, iron and other materials, packing and banding, can easily collection and handling, as well as easy operation, and simplify the work. Packed steel materials and machine in wooden cases .As long as the current in the electromagnet coil,it sucked up weight and won't fall, invisible magnetic chain is more reliable than solid. 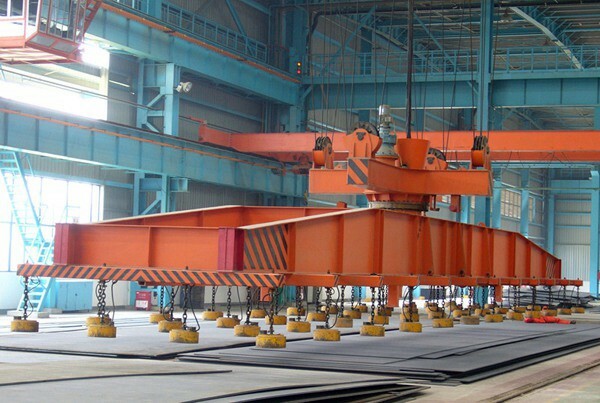 If for some reason is broken, can cause accidents, so on some electromagnetic crane equipped with steel claw, after waiting for transporting heavy lift, solid steel claw is automatically fall buckle them tightly. 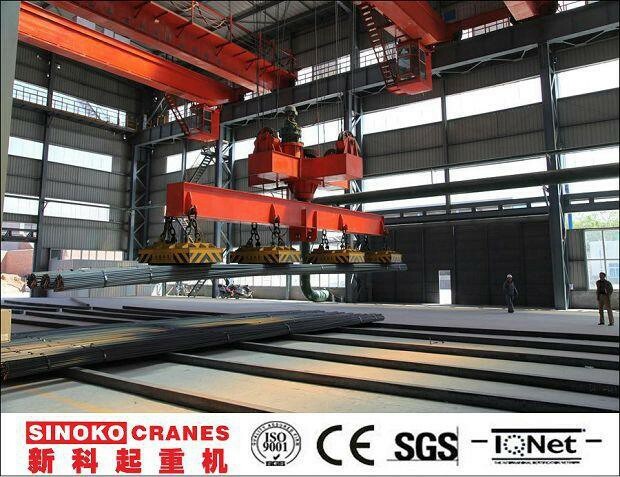 Crane can't carry hot iron, because of the high temperature steel cannot be magnetized. 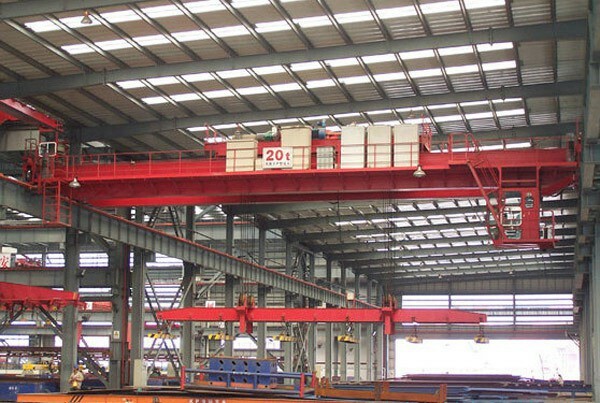 Large electromagnetic crane, can lift nearly tons of weight, the electromagnet diameter is about 1.5 meters, can be filed 16 tons. 3. Heavy duty slipring motor, WUXI NGP brand, TOP quality in China. 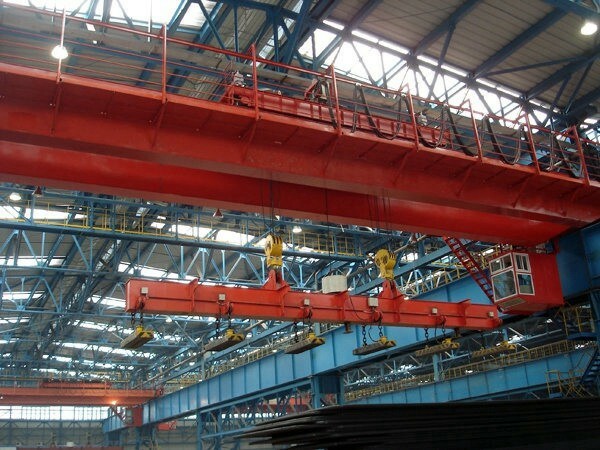 Could design according the lifting material size, weight ,package situation etc. Working temperature is from 0~100°C. This type is norally used for melting workshop,charging the furnace,working in high temperature near the furnace and liquid steel.Working temperatre would be 700°C. 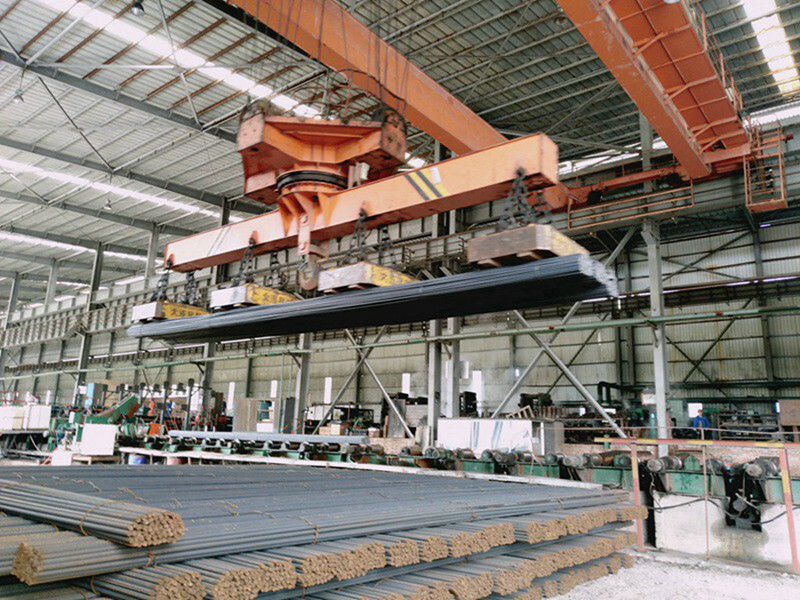 This type magnets normally would have 2 or more magnets units together and fixed on a traverse beam to achieve flexible work for long size steel products,such as still billets,thick steel plates,steel rail,steel pipe etc. We will design the magnets system as rotating type so that it can pick the steel items at any position and direction.